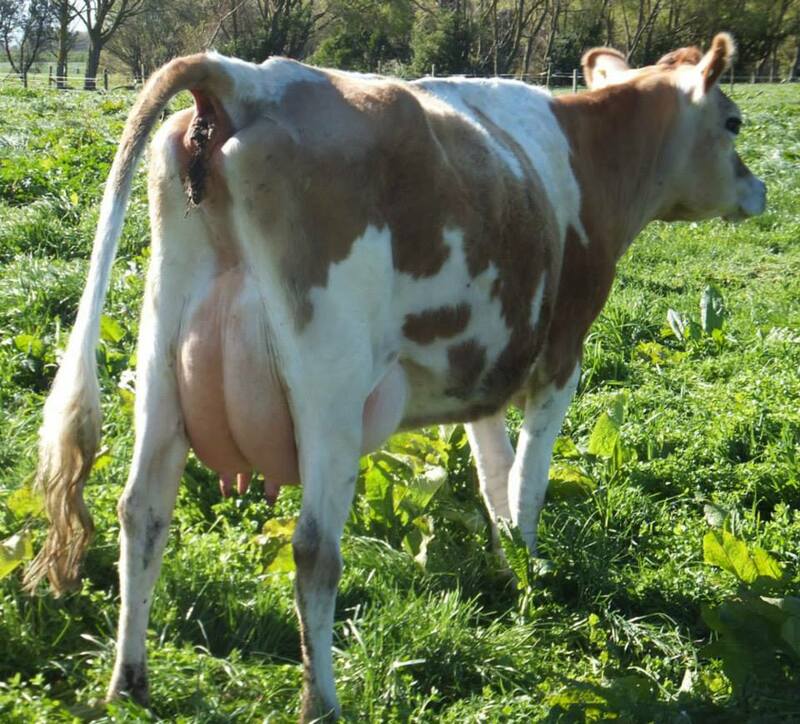 For export inquiries please email. 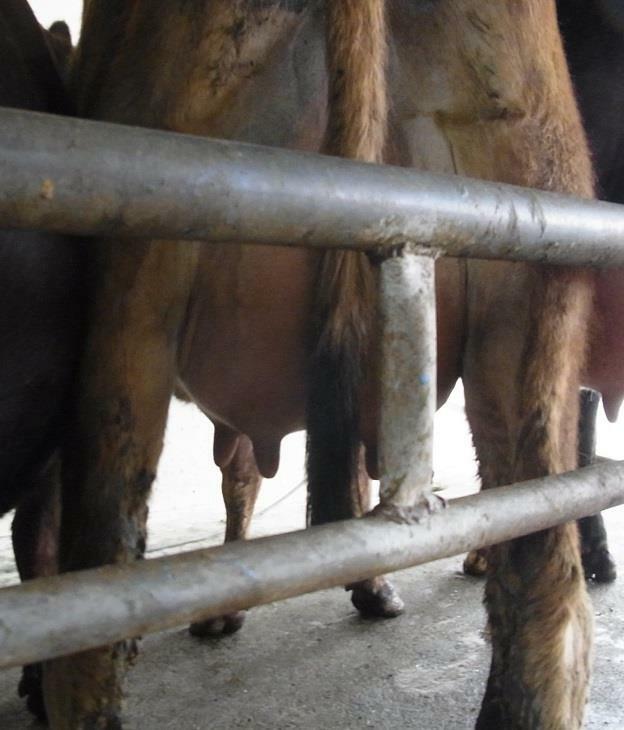 Straws stored in USA and Australia available. 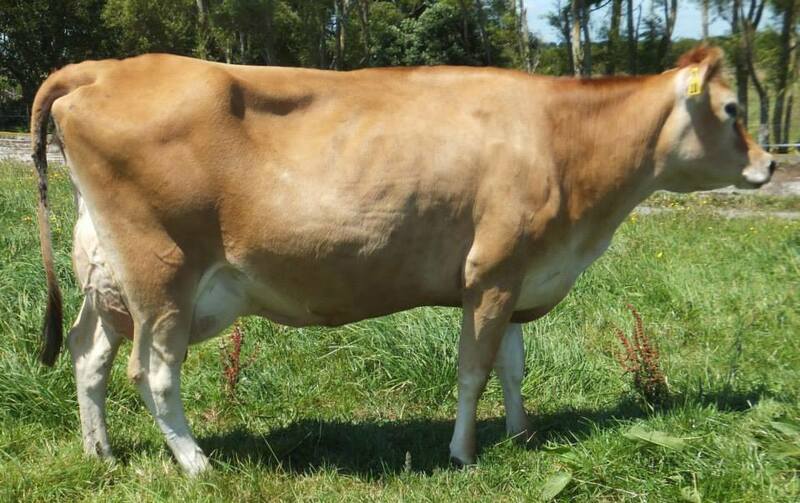 Proven with over 40 daughters milking in NZ plus daughters inmilk in America. 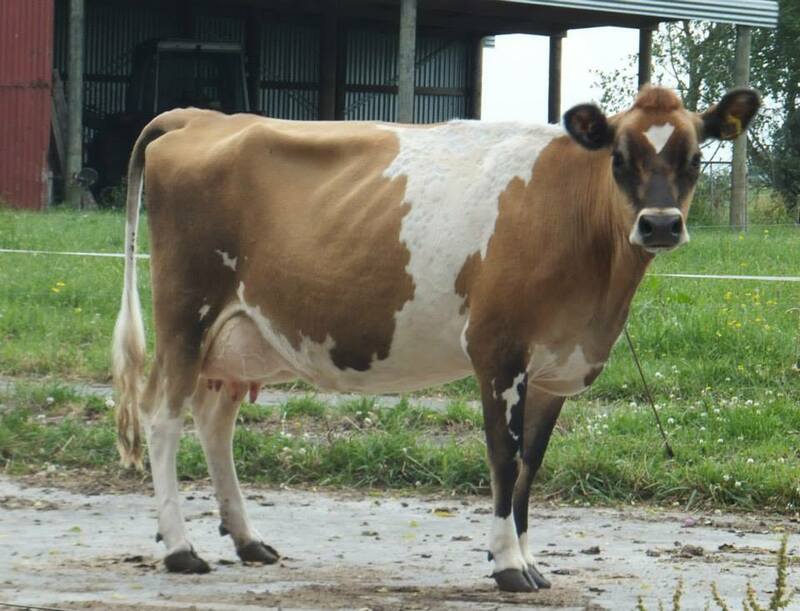 Camboge now has 27 classified daughters for 7 EX, 13 VG, 3 GP & 4 not classified. 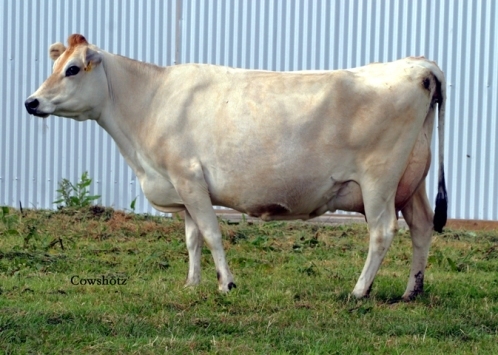 There is a photo of every one of the 14 Camboge daughters that have been milked at Glenbrook below. 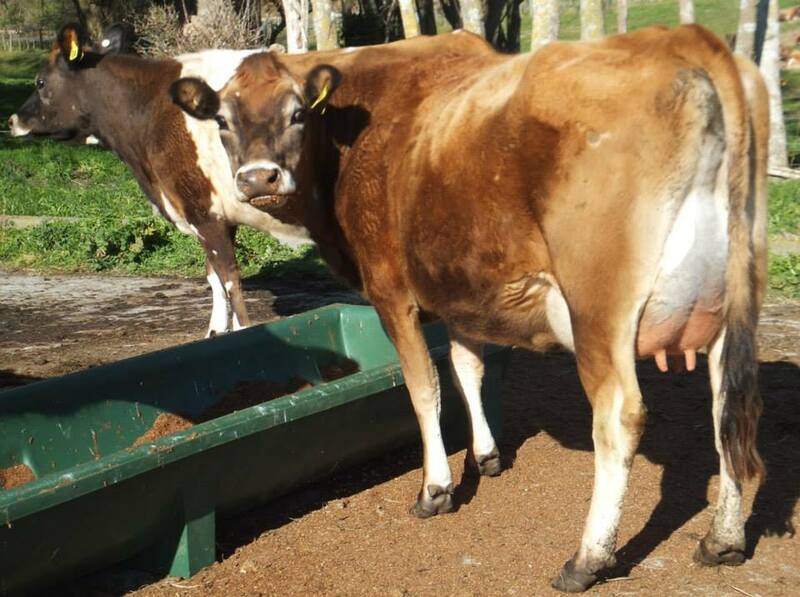 And also all 7 Camboge daughters milked at Nelta this season. 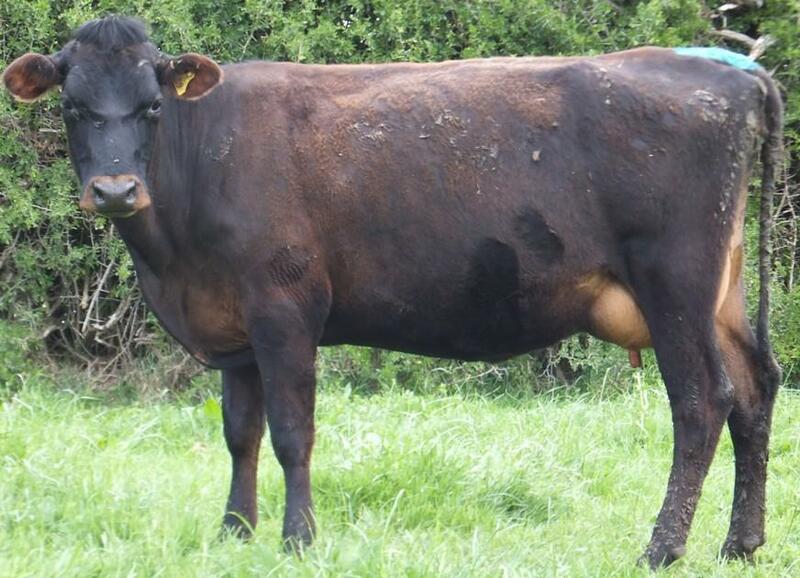 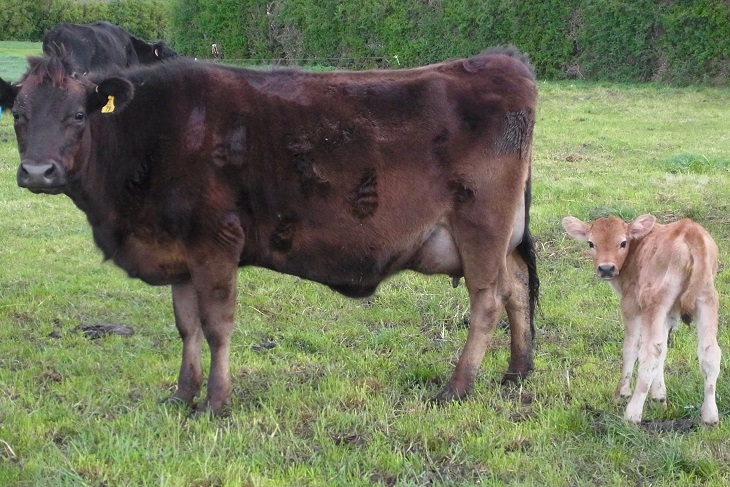 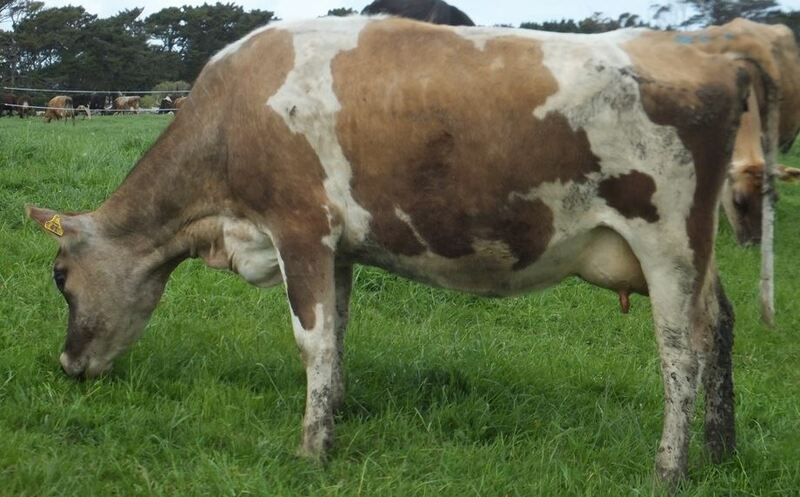 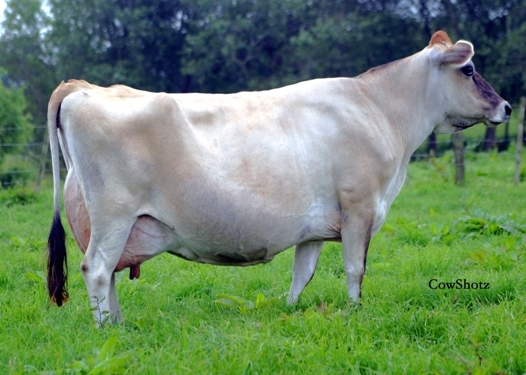 GLENBROOK CAMBOGE CALLULA calved @ 3 years this spring. 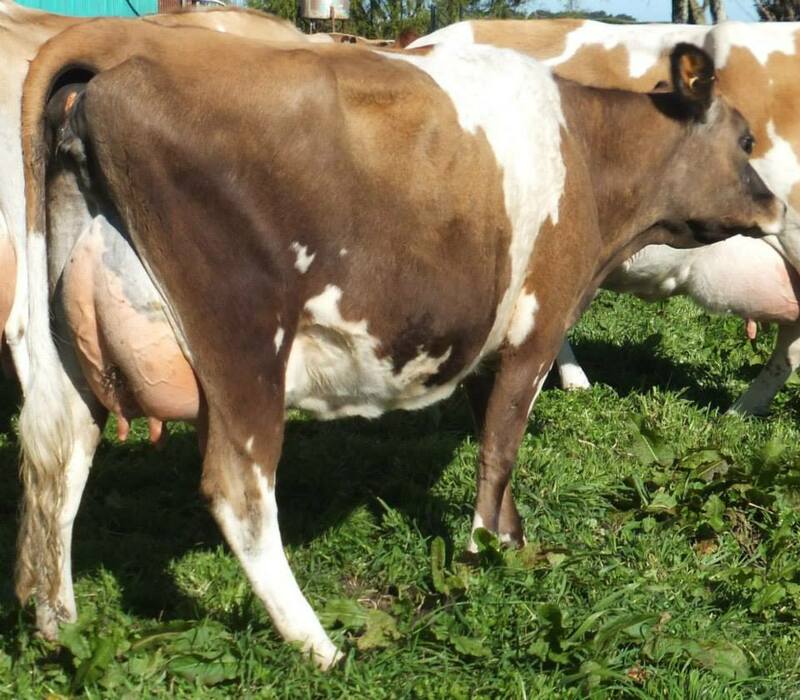 Produced to 28.8 litres and 2.62 kgs ms.
GLENBROOK CAMBOGE CARI VG2 7-9 did 23.5 litres and 2.28 ms in October. 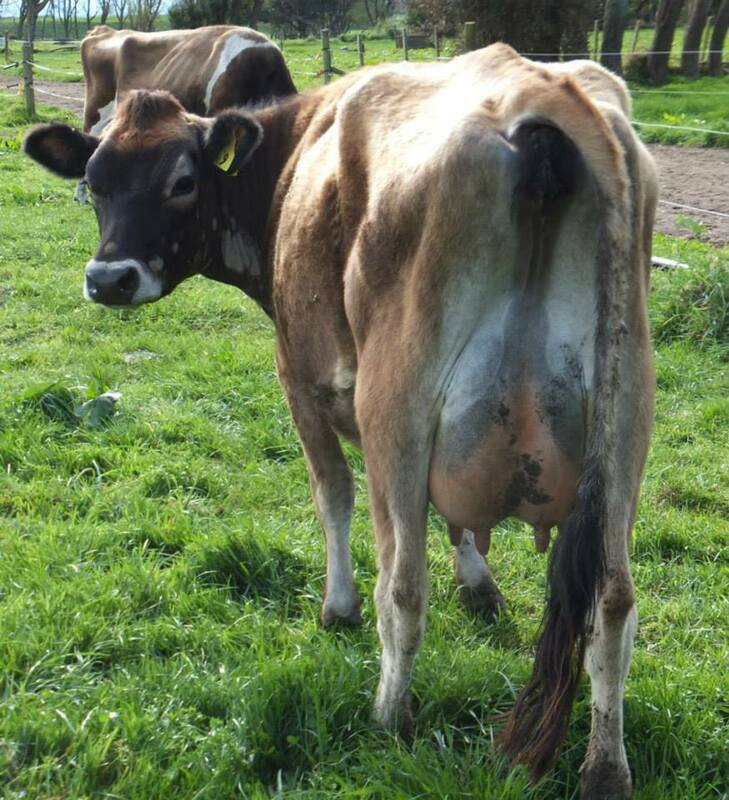 GLENBROOK CAMBOGE CELINE EX2 8-8 did 23.3 litres and 2.07 ms in October. 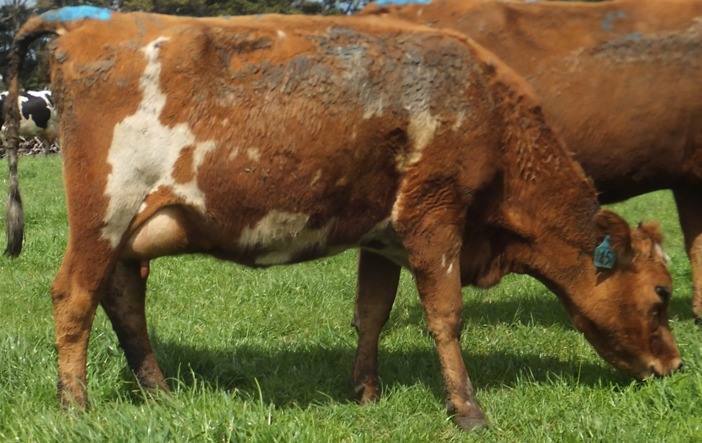 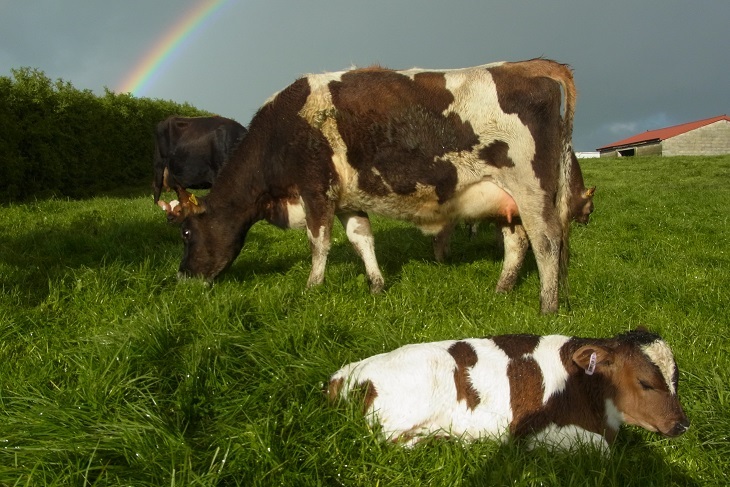 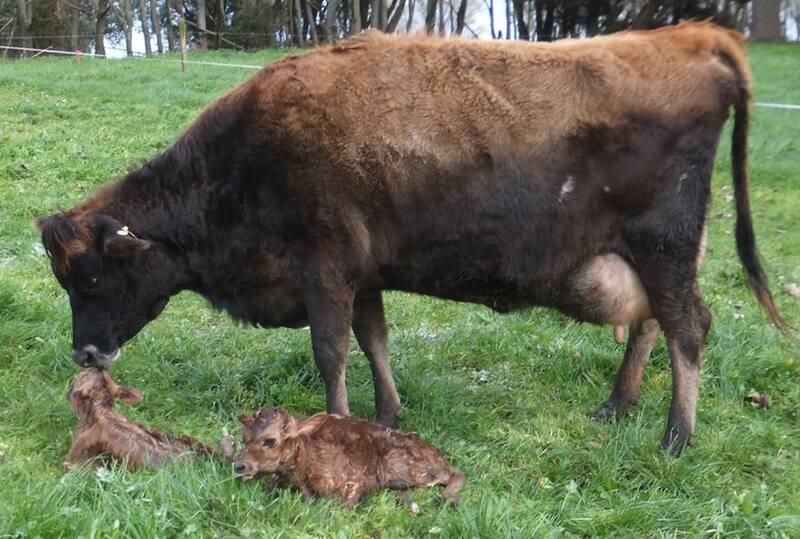 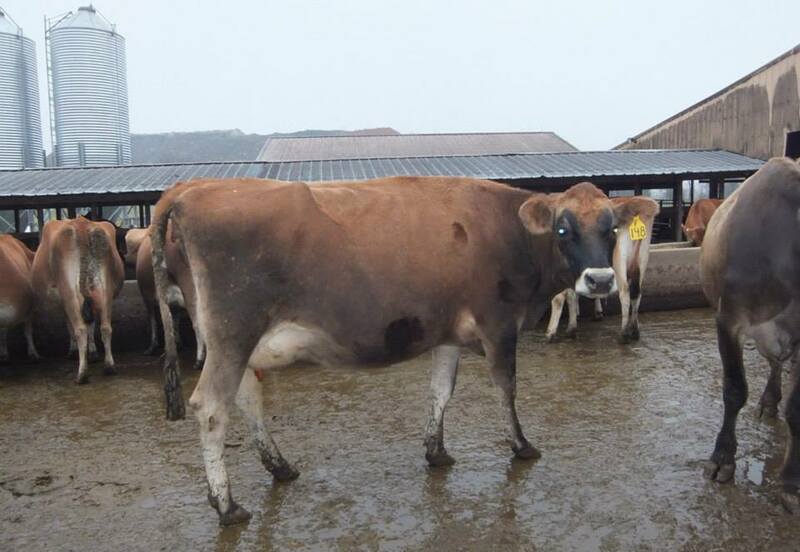 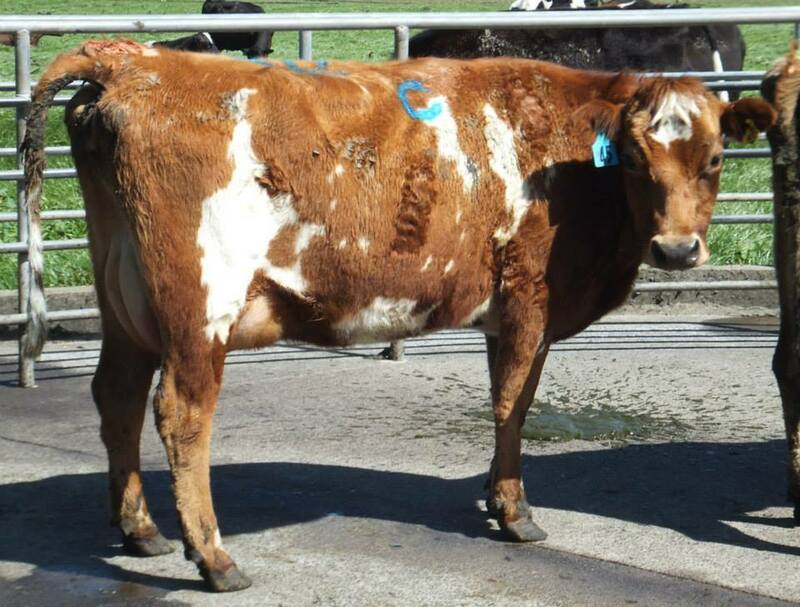 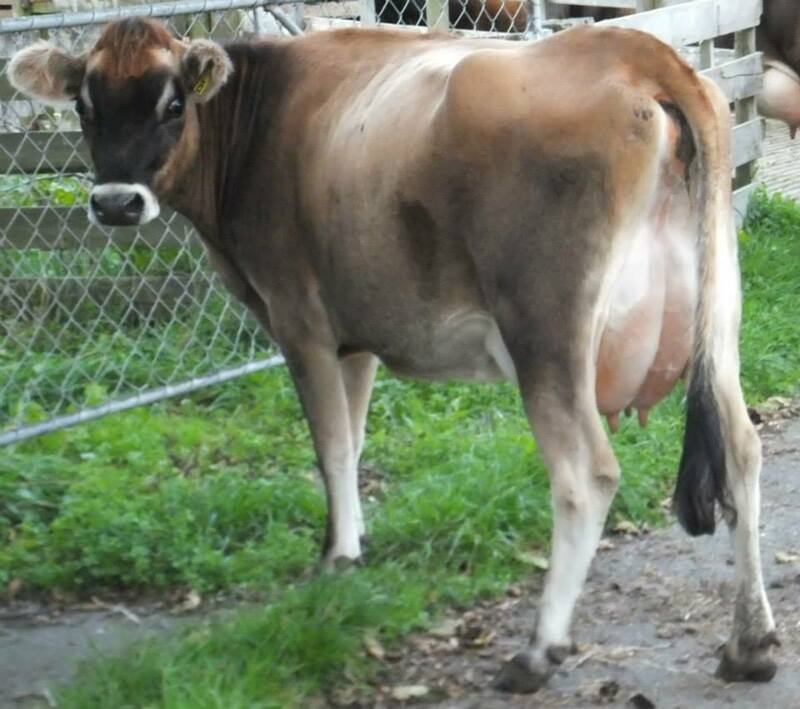 GLENBROOK CAMBOGE CAYLEA gave 22.3 litres and 2.06 kgs ms in October. 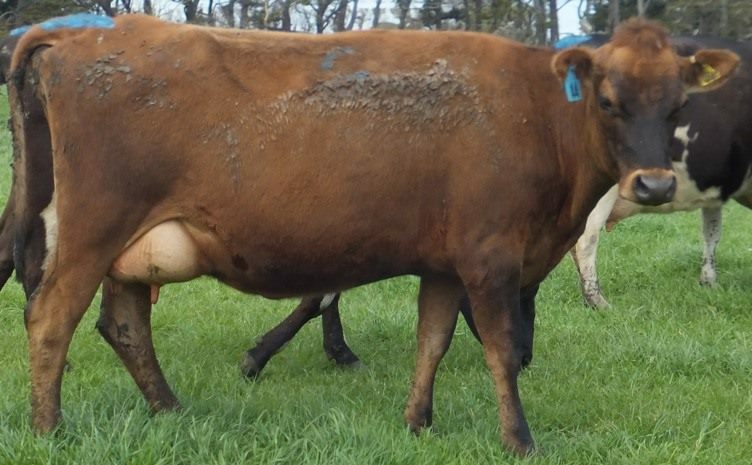 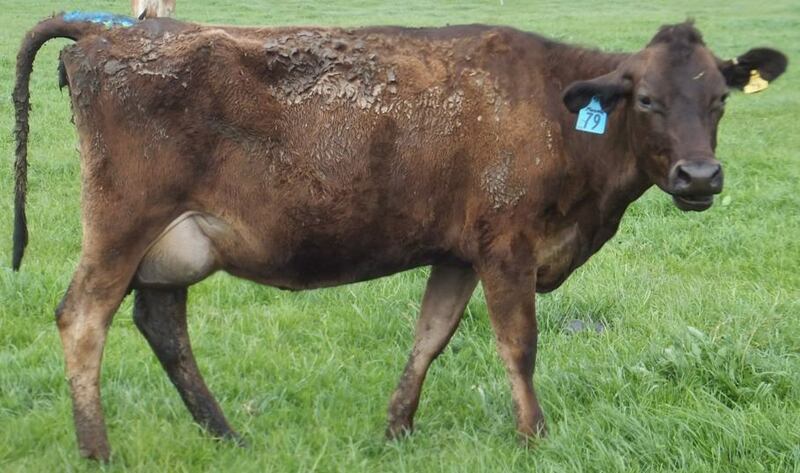 GLENBROOK CAMBOGE CARMA was top ms heifer and gave 23.3 litres and 2.40 kgs ms in September. 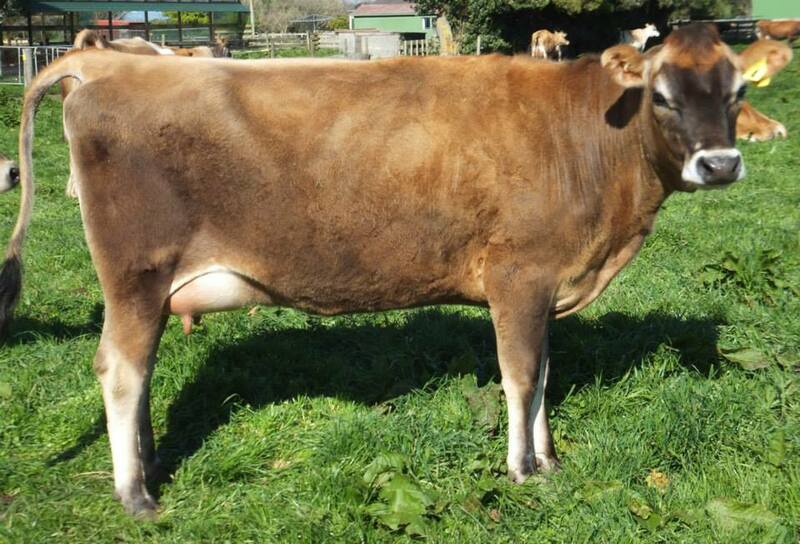 GLENBROOK CAMBOGE CROATIA calved in August. 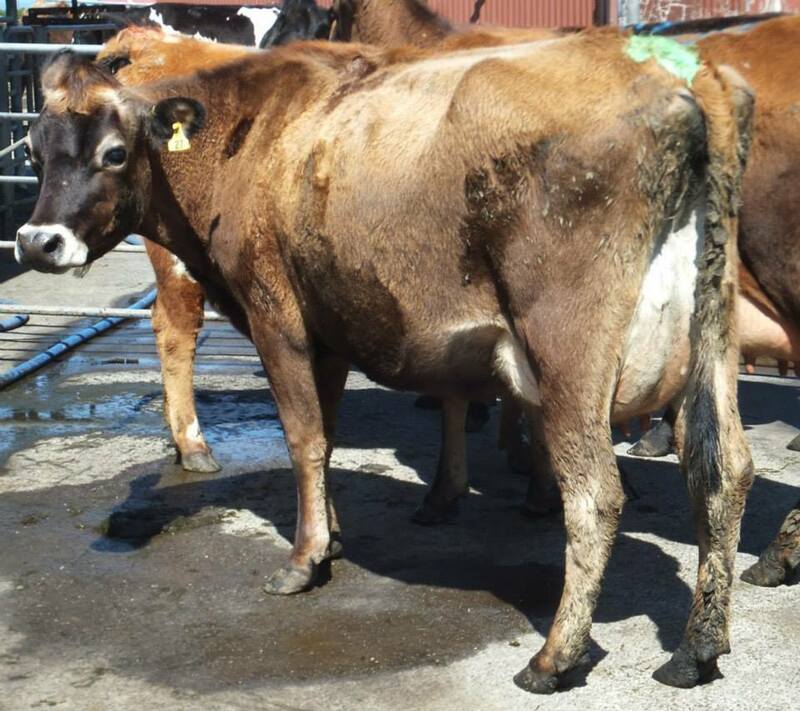 All 7 GLENBROOK CAMBOGE daughters milking at Nelta 2014-15 season. 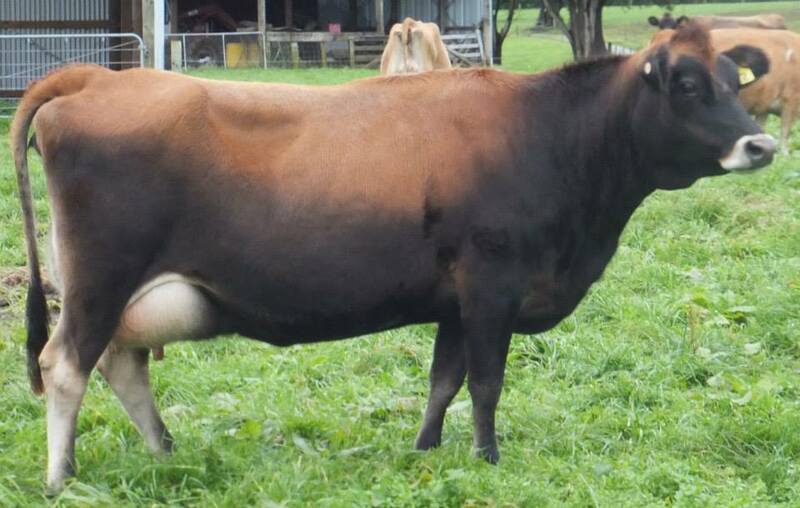 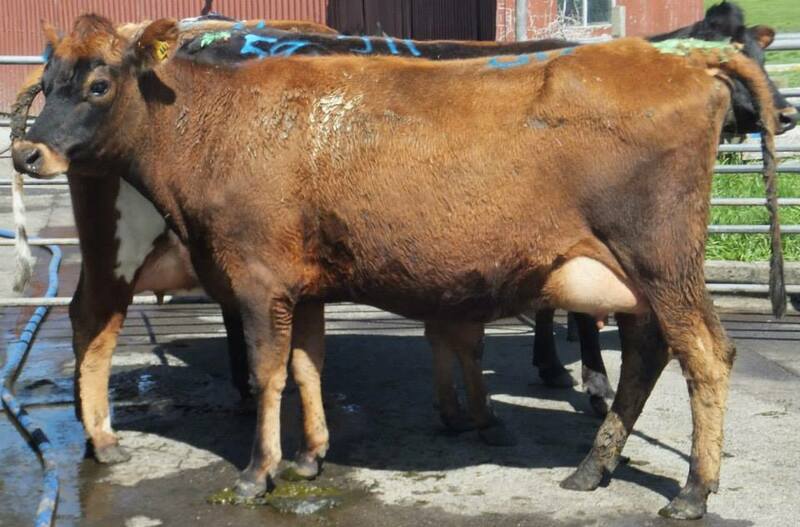 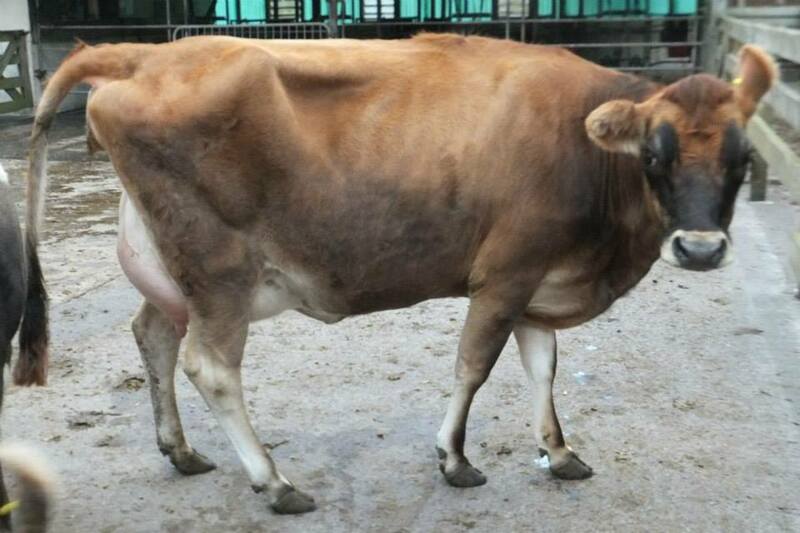 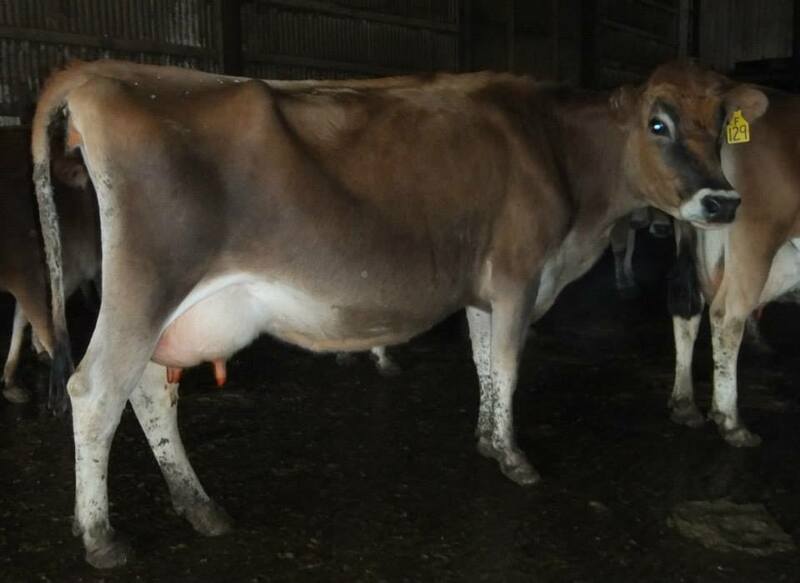 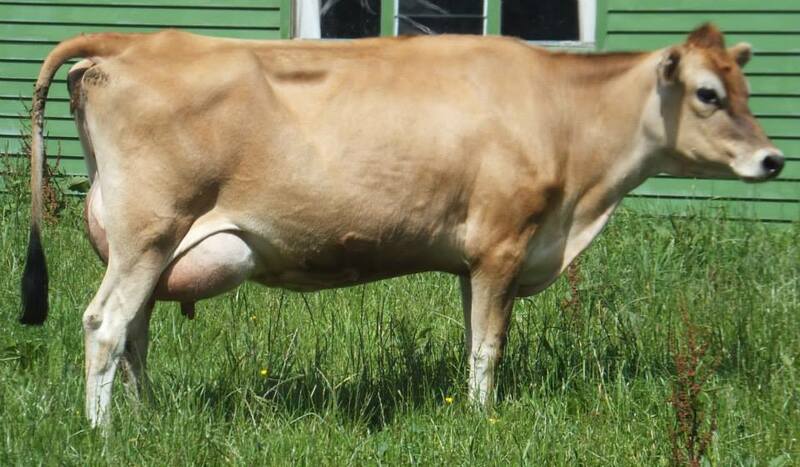 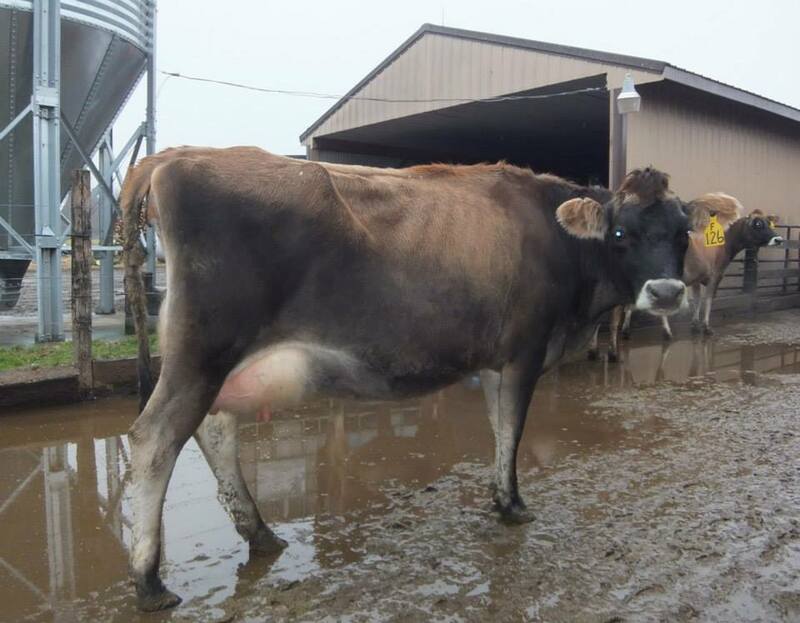 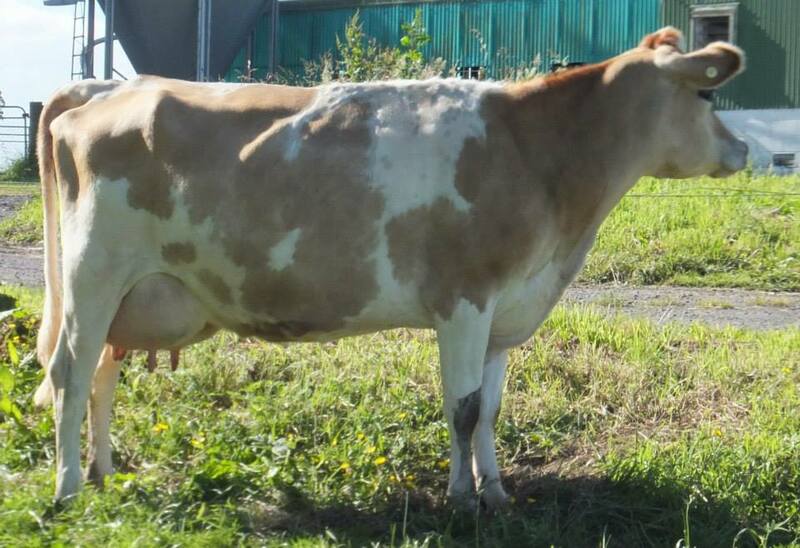 NELTA CAM LEORA Nelta 27 the highest producing Camboge daughter at Nelta and her udder. 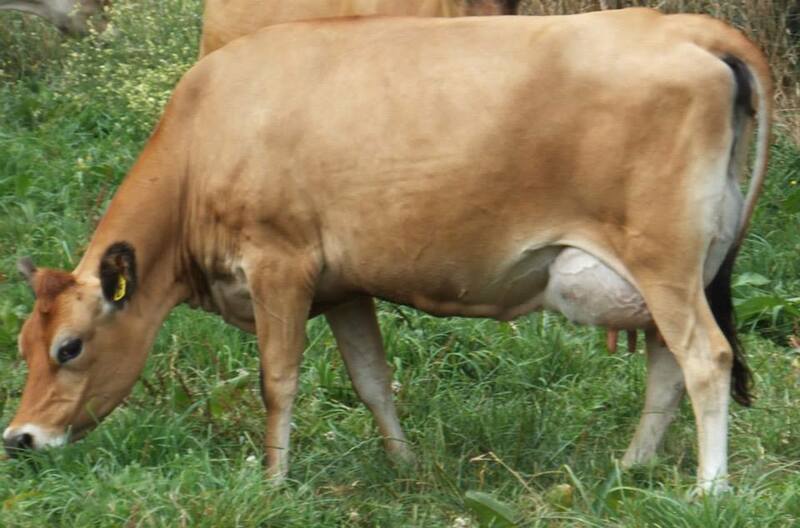 His 5 Dams on the bottom line are all classified EXCELLENT. 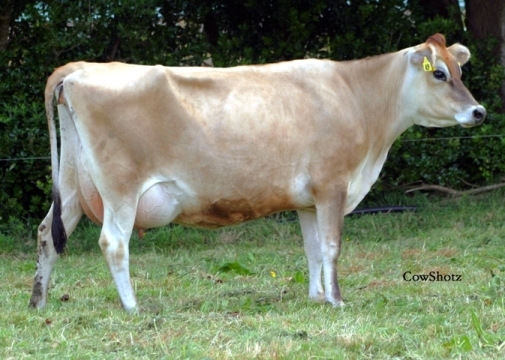 Below is a photo of Coolest on 15th February 2011 WJCB tour day at LEITHLEA. 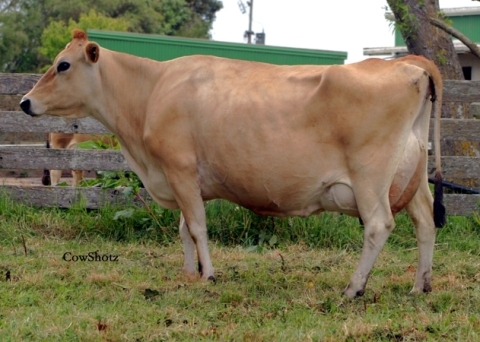 Glenbrook Commando Cool was 1st place three year old at Hawera Jersey Club show March 2006. 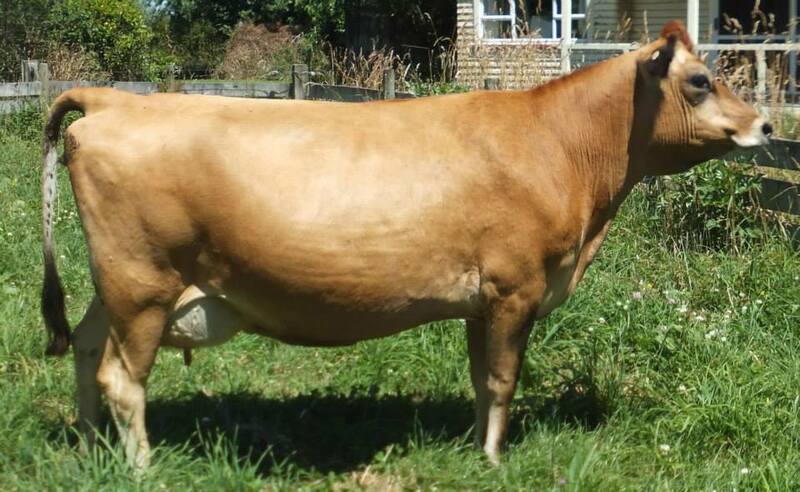 2nd in mature cow class Hawera Jersey Club Show March 2007. 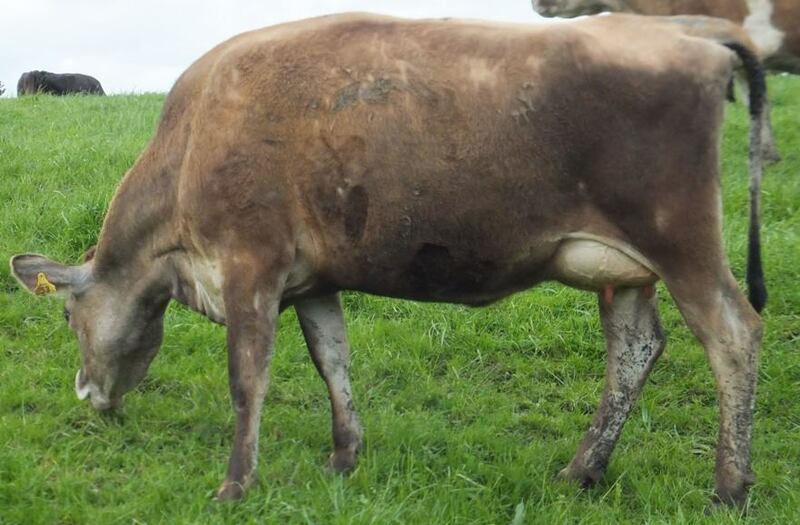 For those of you who are really interested in the pedigree of a bull this file has 6 gen peds for each of the nearest 15 dams of Camboge. 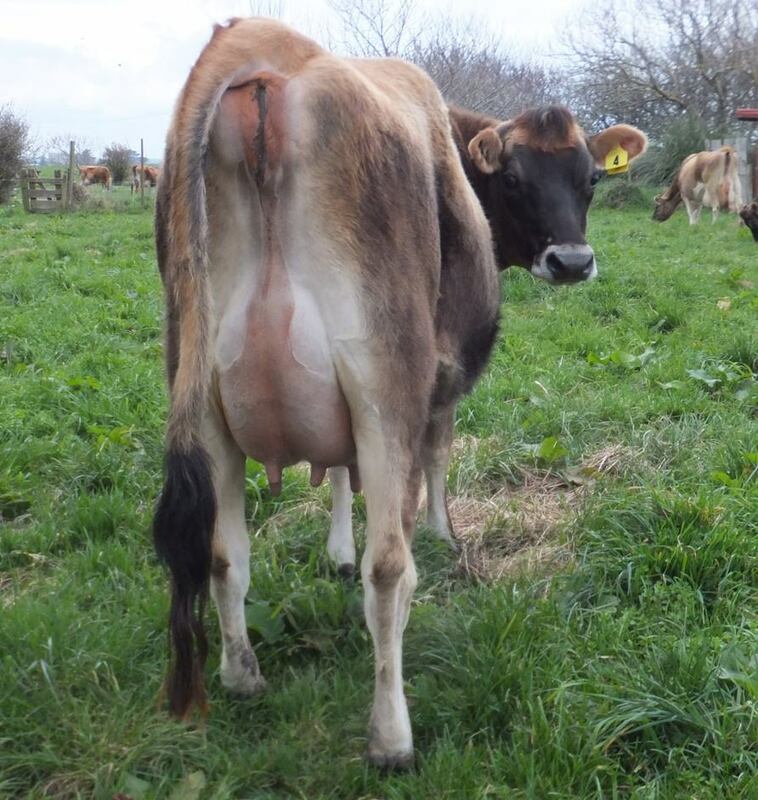 It is a large file at just under 1MB so may take a little while to download depending on your internet speed.